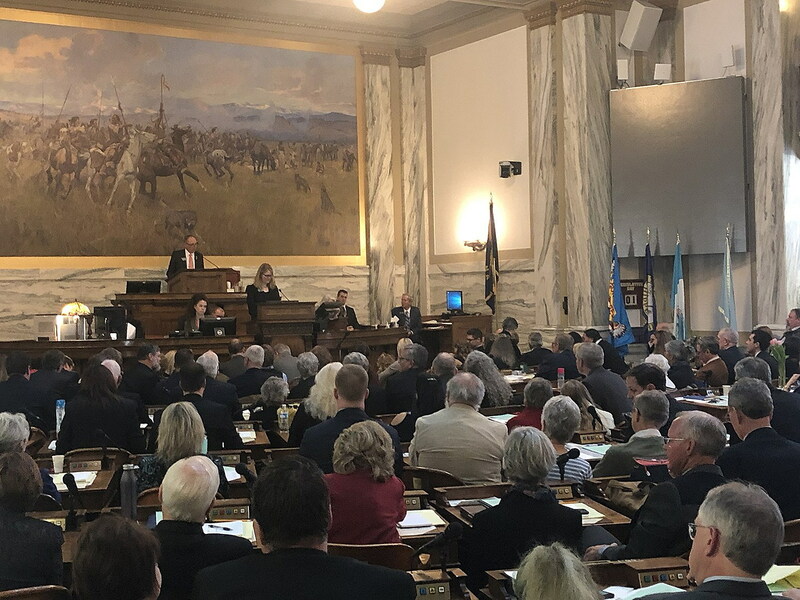 (UM Legislative News Service) The 66th Montana Legislature officially convened Monday with lawmakers casting their first vote of the 90-day session on a temporary rules measure. Republicans again control both the House and Senate. The party has been split, however, on a rules change that could affect how larger issues, including Medicaid expansion, will move through the legislative process. The House of Representatives on Monday voted to adopt temporary rules, but the changes still need to be debated this week in committees. During the opening ceremony of the House of Representatives, Republican Secretary of State Corey Stapleton encouraged unity among legislators. “Friendships are the cartilage of the legislative body. Make some friendships with your opponents,” Stapleton said. Rep. Casey Schreiner, D-Great Falls, also called for cooperation, particularly on Medicaid expansion and infrastructure. So far, more than 3,000 bills have been drafted for debate in the 2019 legislative session.